The Senate's coming confirmation of Neil Gorsuch will improve the Supreme Court, and Democrats' incontinent opposition to him will inadvertently improve the Senate -- if Republicans are provoked to thoroughly reform the filibuster. If eight Democrats will not join the 52 Republicans in providing 60 votes to end debate and bring Gorsuch's nomination to a vote, Republicans should go beyond extending to Supreme Court nominees the prohibition of filibusters concerning other judicial nominees. Senate rules should be changed to rectify a mistake made 47 years ago. In 1975, imposing cloture was made easier by requiring a vote of three-fifths of the entire Senate, a change the importance of which derived from what Majority Leader Mike Mansfield, D-Mont., did in 1970: He created the "two-track" system whereby the Senate, by unanimous consent or the consent of the minority leader, can set aside a filibustered bill and move on to other matters. Hitherto, filibustering senators had to hold the floor, testing their stamina and inconveniencing everyone else to encourage the majority to compromise. In the 52 years after 1917, there were only 58 cloture motions filed; in the 46 years since 1970 there have been 1,700. 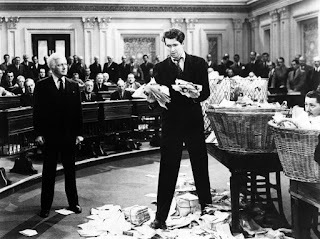 Wisdom about the filibuster comes today from the other side of the Capitol, where House rules make filibustering impossible. Rep. Tom McClintock, a conservative California Republican, writing in Hillsdale College's publication Imprimis, praises the Senate tradition that "a significant minority should be able to extend debate" in order to deepen deliberation. Post-1970 filibusters, however, are used to prevent debate. As McClintock says, "the mere threat of a filibuster suffices to kill a bill as the Senate shrugs and goes on to other business." McClintock urges the Senate to make a "motion to proceed" to consideration of a bill undebatable and hence immune to filibustering: "Great debates should be had on great matters -- but not great debates on whether to debate." And he says the Senate should abandon the two-track system. This would prevent the Senate from conducting other business during a filibuster but would require filibusterers to hold the floor. As he says, it was this mutual inconvenience that, between 1917 and 1970, made filibusters rare and productive of pressure for compromise to resolve the impasse. 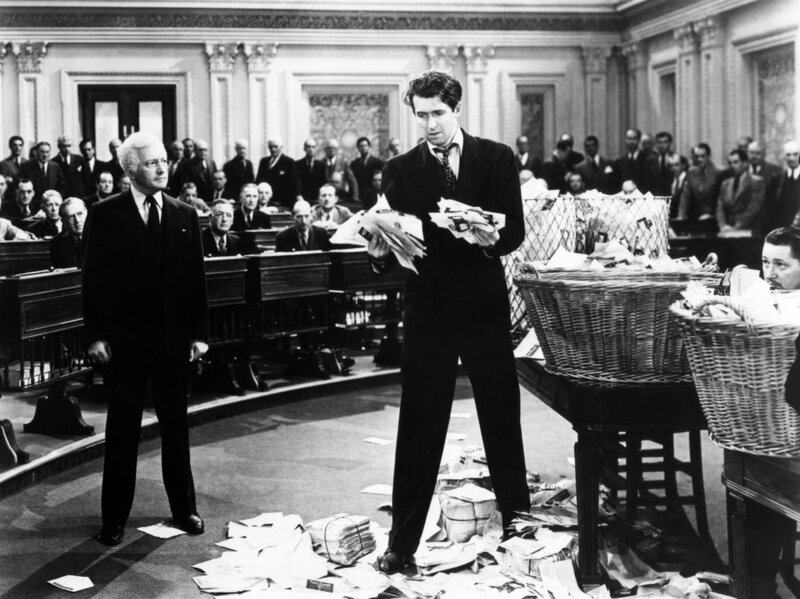 Comment: Image is Jimmy Stewart in Mr Smith goes to Washington. See Senate Republicans prepared to go nuclear if Democrats try to block Neil Gorsuch nomination On "go nuclear" / On Filibuster / the word means "to pirate"
Update: Schumer’s Folly - Democrats are heading toward an epic miscalculation in filibustering Neil Gorsuch.